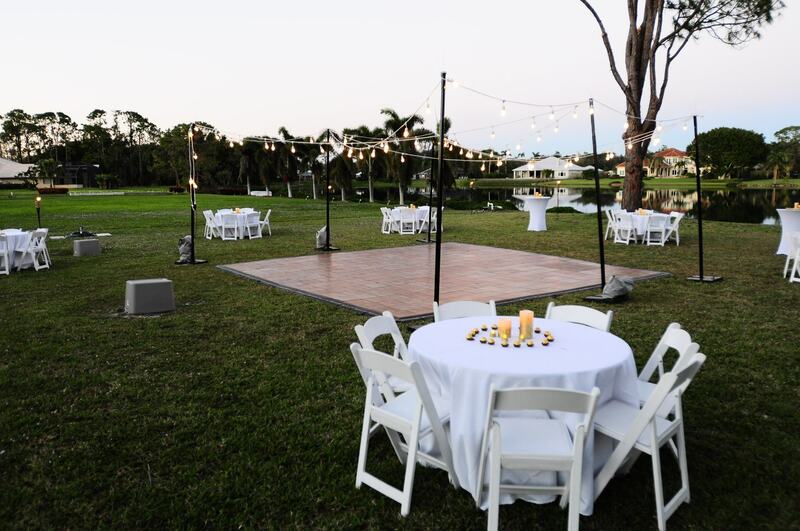 Outdoor events are great all year round in Southwest Florida. 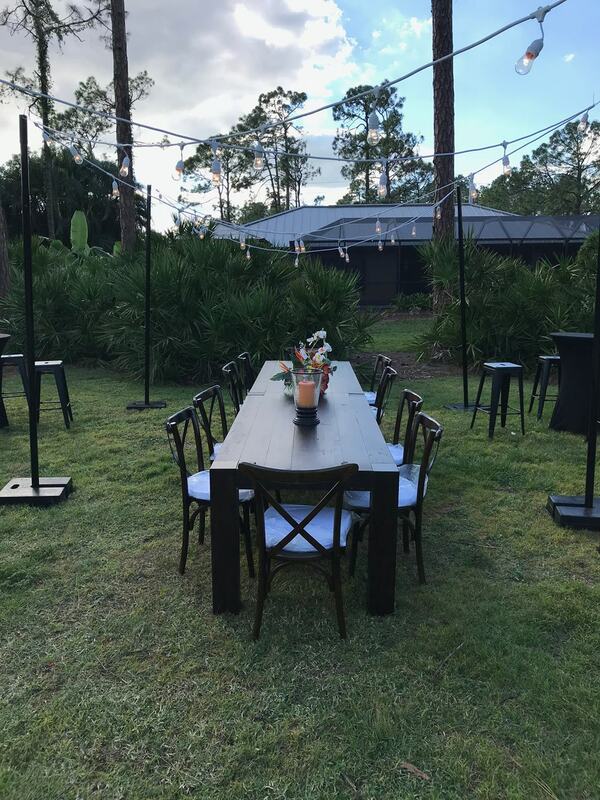 Excalibur rents tents and party accessories in the Naples, Florida area to help you create an instant multi-functional space almost anywhere, ensuring a haven from wind, rain or sun. 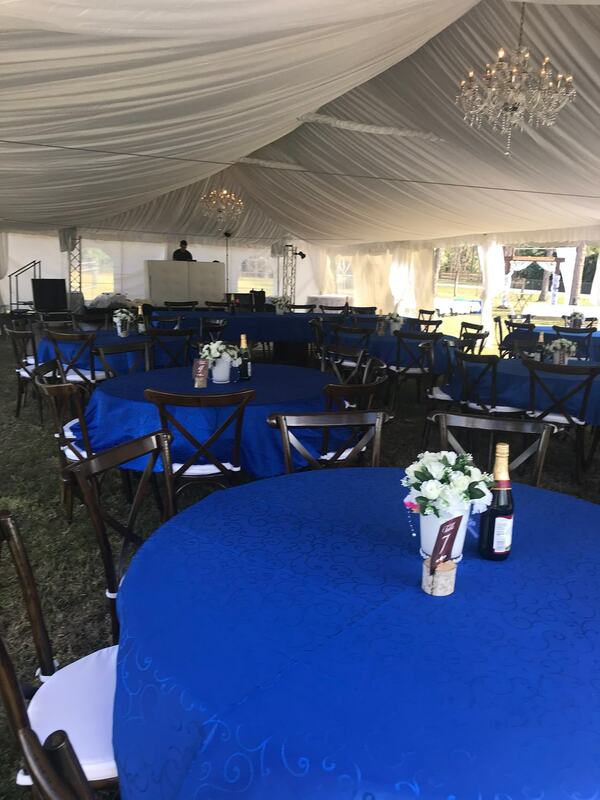 Our tents are new, spacious, clean and refreshing, and have the flexibility to be used in a variety of settings. 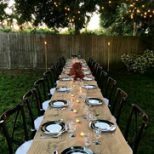 They add a festive air to any function and are versatile and economical too. 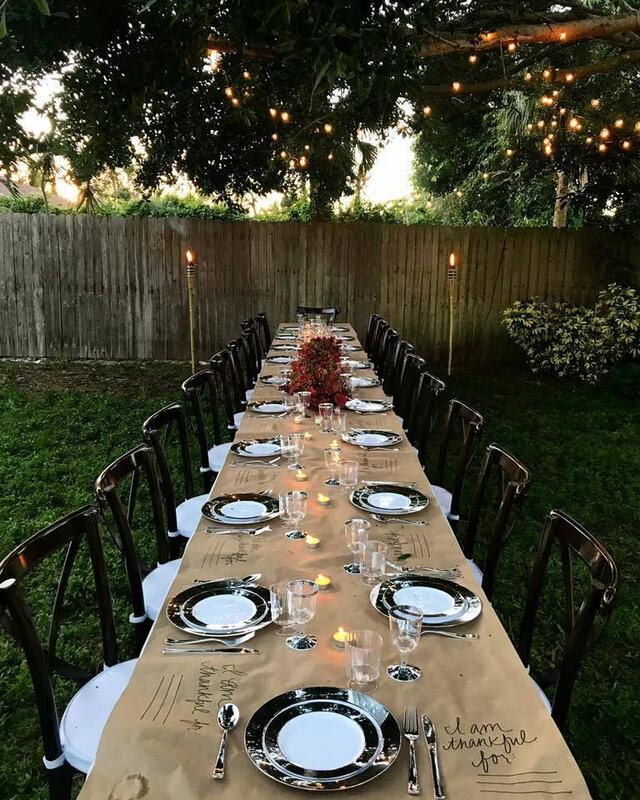 Renting a tent is less expensive than renting indoor space. 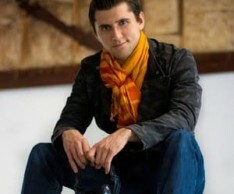 If it can be done indoors, it can be done in a tent. 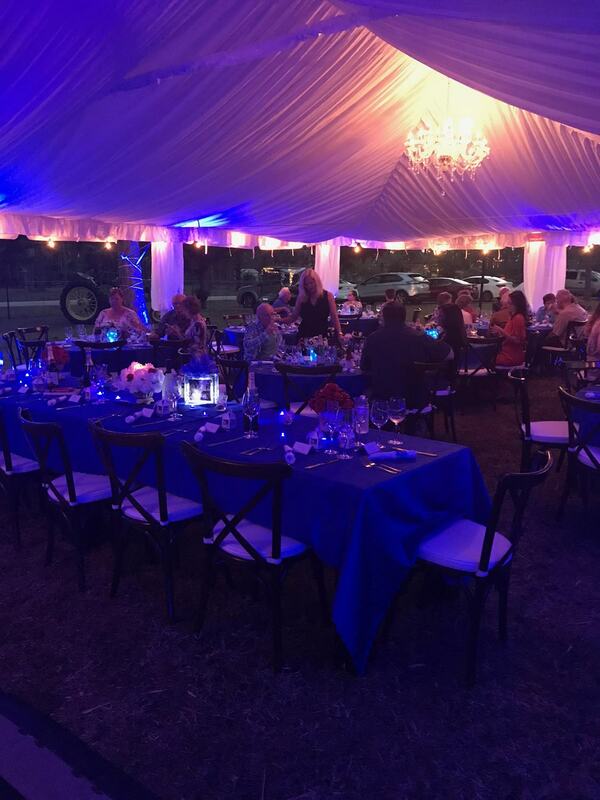 Excalibur Tents, Tables & Chairs of Naples is a premier provider of tents and tent accessories in the Naples, Florida area. 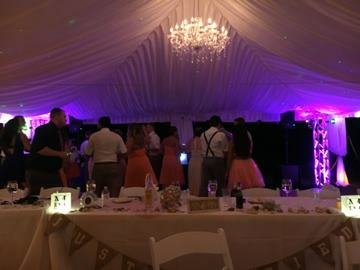 We specialize in weekend residential parties in the Naples, Florida and surrounding area. 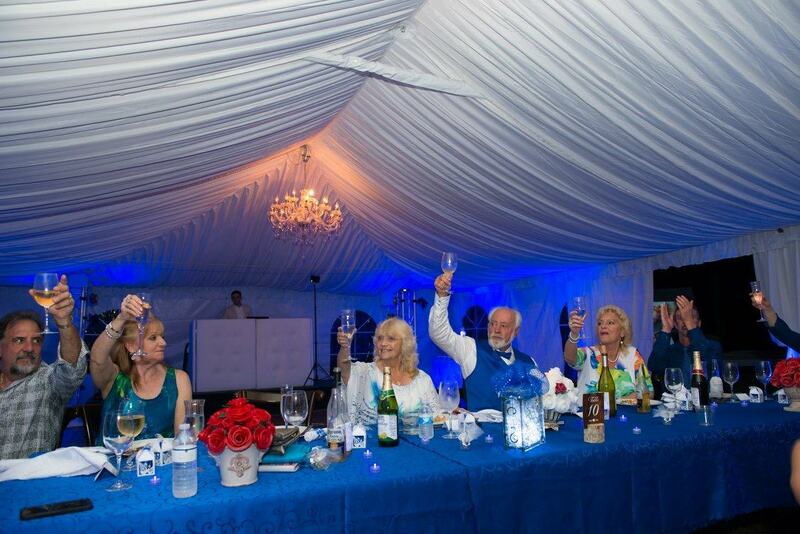 Our tents can accommodate 10-200 people and we have tables and chairs available. As a family owned business, we pay attention to every detail and take pride in offering the best product and customer service. 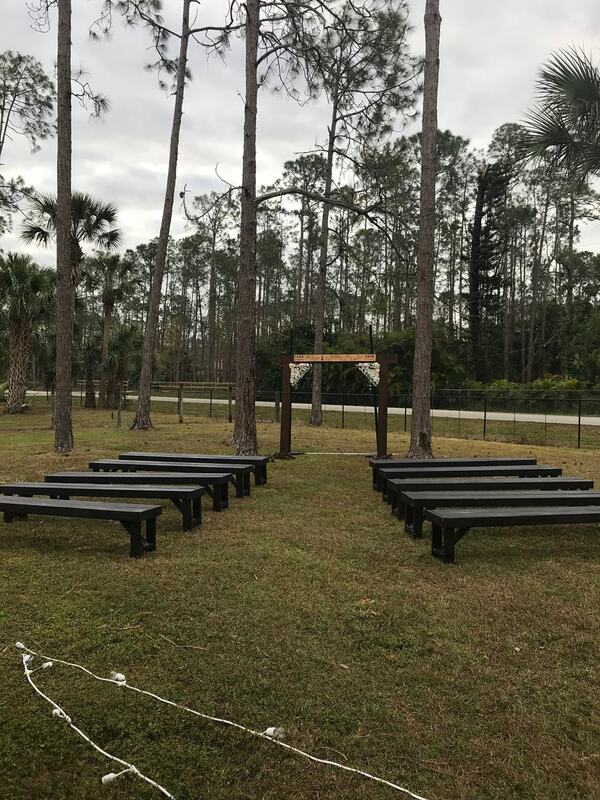 Includes a 20 x 20 frame tent, 5 8ft tables, and 40 wedding white chairs with 20 ft globe lights.